Russia's national architecture museum has weighed into the campaign to save the cylinder-shaped Melnikov House in central Moscow, a world renowned symbol of Twenties' Soviet avant-garde. In an online petition addressed to Moscow Mayor Sergei Sobyanin, campaigners from The Shchusev State Museum of Architecture are calling for an immediate halt to all construction works in the area around the house, which they allege is causing significant damage to the building. As there are no laws in Russia on exclusion zones around historically significant buildings, nearby construction of a shopping centre and underground car park has led to soil displacement in the area, resulting in large cracks throughout the building. The double cylindrical structure with 60 hexagonal windows was designed by architect Konstantin Melnikov and completed in 1929 at the height of the avant-garde wave in post-revolutionary Russia. 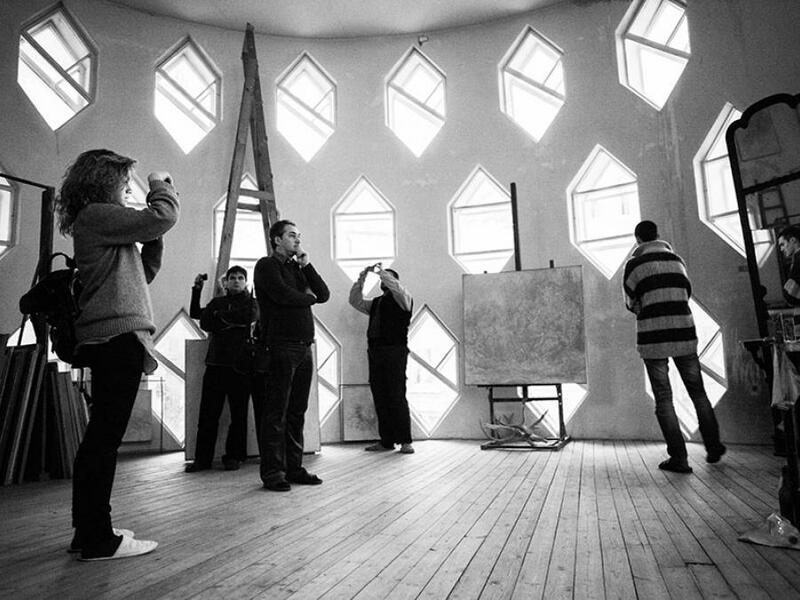 Melnikov proposed the building to the authorities as a prototype for workers' housing, using it as his own home and studio. After the stark shift from the Constructivist forms of architecture of the Twenties to the neo-classical grandeur of socialist realism that defined Joseph Stalin's regime, Melnikov largely withdrew from his work as an architect. In April, prominent global architects Peter Eisenman, Steven Holl and Rem Koolhaas signed a letter to President Vladimir Putin stating that the “risk of losing a masterpiece of 20th-century world architecture” had “grown significantly”. The petition has been published in English here and can be signed here.